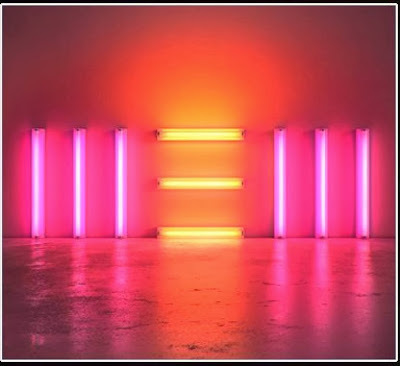 Paul McCartney just tweeted what's supposedly the final version of the album cover. Along with updated info on the songs, some of which has been previously published on this very blog. As we have posted earlier, there are probably a couple more bonus tracks lined up for exclusive DeLuxe editions for some store chains and foreign markets. The title track "New" has been out on YouTube, SoundCloud, iTunes and other outlets for a while, and also made it's live debut in Paul's concert at the iHeart Radio Festival in Las Vegas the past week-end. During that concert, McCartney also previewed two more songs from the album, the opening track "Save Us" along with track no 8, "Everybody Out There". Bonus tracks not mentioned in this press statement: "Secret Life of a Party Girl" and "Scared". The track "Scared" was revealed to be a "hidden track" in the latest edition of the MOJO magazine, and thus is not listed. "Secret Life of a Party Girl" even has a timing (6:15) and was one of the tracks Mark Ronson produced. It has been rumoured as one of the bonus tracks on the "regular" DeLuxe edition, but now that the official track list is out, is nowhere to be found. It may appear again, perhaps on a Japanese ultra-DeLuxe edition of the album, who knows? Last week, we revealed a "Best Buy" variation on the "New" cover in this blog post.That was a 12 track edition, but with bonus items like a postcard pack and a promotional badge included. Paul McCartney is booked to appear on the Jimmy Kimmel Live! ABC TV-show from Los Angeles tonight, perhaps he will treat the audience to further tracks from the new album. The show is billed as "Paul McCartney, Patrick Dempsey – plus Sir Paul performs a special Hollywood Blvd concert". Japanese edition contains "Turned Out","Get Me Out Of Here" and "Struggle"(produced by Giles Martin) as bonus tracks.